Judge Nelva Gonzales Ramos set trial in the consolidated Texas voter ID cases for September 2, 2014, adopting the date proposed by Congressman Marc Veasey over a proposed March 2015 trial date preferred by the State of Texas and some of the other plaintiffs. The court also granted a request by the Texas Association of Hispanic County Judges and County Commissioners to intervene in the case. Separately, the court also sua sponte consolidated the new voter ID suit filed last week by a group of South Texas plaintiffs with the four other pending cases. The court did not take action today on a request by poll watching group True the Vote to intervene in the case as a defendant but told the parties that it would take the request under advisement. Lawyers for the Justice Department had argued in papers filed with the court that True the Vote did not meet the legal requirements for intervention. The State of Texas filed an advisory … asking Judge Ramos to move the start of trial in the voter ID case from September 2, 2014 to March 2015. If the State were forced to alter or even un-implement a voting law after providing election materials and substantial training, the likely result is unnecessary and avoidable confusion at the polling place. Attempting to re-educate poll workers (most of whom are volunteers) on such a short timetable is simply not feasible, and the result would likely include confusion, delay, and possibly even inconsistent enforcement of Texas’ election laws. The Texas League of Young Voters filed an amended complaint today expanding its claims in the Texas voter ID litigation to include a non-race based claim under the equal protection clause of the Fourteenth Amendment. The League’s complaint previously only made claims under section 2 of the Voting Rights Act and under the race discrimination provisions of the 14th and 15th Amendments. The League’s amended complaint also added three students at Texas Southern University in Harris County as plaintiffs. The Veasey plaintiffs, Mexican-American Legislative Caucus/NAACP plaintiifs, and the South Texas plaintiffs – who filed a separate suit last week – also are asserting non-race based claims under the 14th Amendment. Li has a super-helpful chart of “who is asserting what” in the various cases here. The Wisconsin Supreme Court agreed Wednesday to take up two separate cases over the state’s voter ID law, which has been blocked since shortly after it took effect in 2012. The high court is reversing its past stances by taking one of the cases before the Court of Appeals has ruled on the voter ID requirement. [State Attorney General J.B.] Van Hollen three times asked the Supreme Court to take up the issue before appellate courts had rendered decisions, but the high court declined to do so in April 2012, September 2012 and January 2013. But on Wednesday, the court said it was taking over a case before the Court of Appeals had ruled. It said it was doing so “in the interest of judicial economy” because it had also decided to review an appeal in the other voter ID case in state court. The Wisconsin high court has not yet set a timetable for its review of the cases. 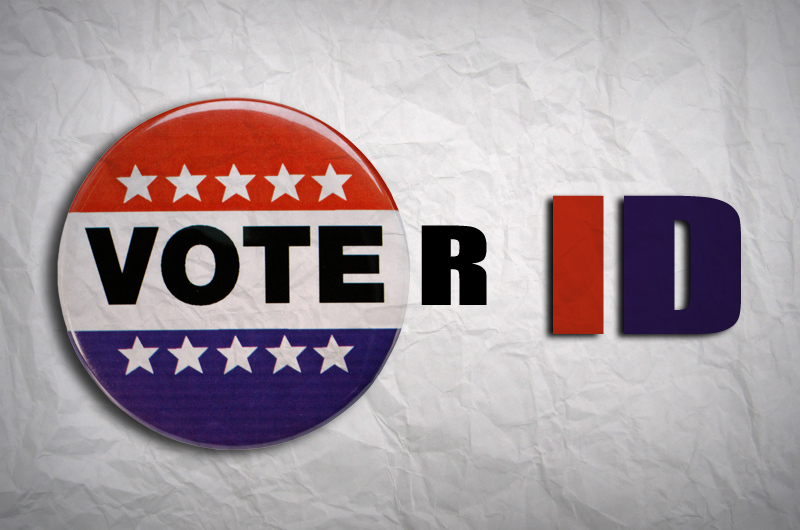 Both of these proceedings could have a profound impact on the voter ID issue nationwide. I’ll keep tracking their progress – you stay tuned! Be the first to comment on "Voter ID Litigation Update: Cases Move Forward in Texas, Wisconsin"